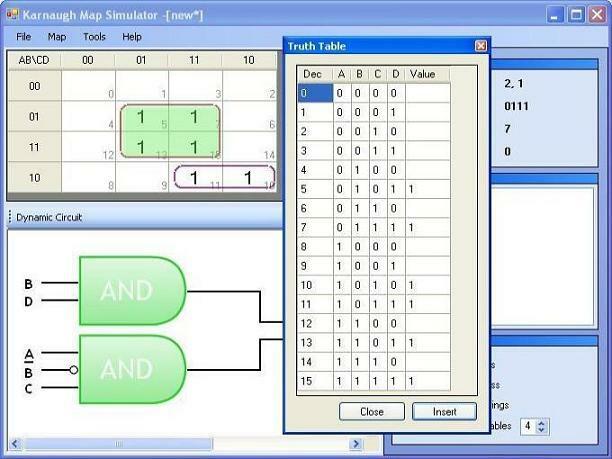 Karnaugh map minimization and simulation program written in Visual Basic through the .NET Framework. 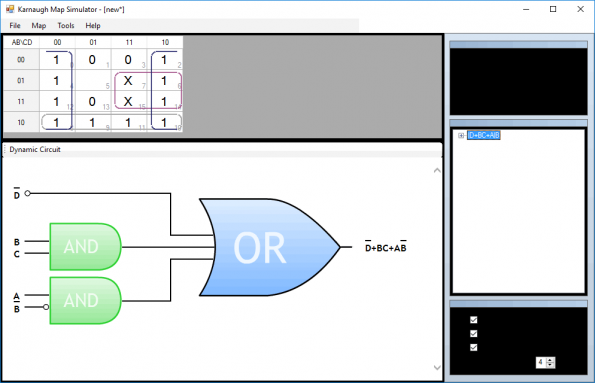 Able to simplify Boolean equations to its simplest form. With dynamic circuit generation and no overlapping.